We will experience complete relaxation and serenity in this deluxe room. We will step out onto our private balcony, where the ocean is all ours as we soak in the view. We will relax every inch of our body in our outdoor whirlpool tub or simply recline in the comfort of our double lazy chair. An enchanting setting of breathtaking views of azure blue skies and turquoise sea awaits us in this stylish room. We will take in the Indian Ocean view from our double lazy chair on the private balcony. Each room is equipped with a king size bed, cable TV with 37-inch LCD screen, Wi-Fi internet access, iPod docking station, espresso machine, lounging space with a small sofa and working desk. This charming restaurant serves the signature DoubleTree breakfast, lunch & themed international dinner - all in a relaxed buffet style with live cooking stations. 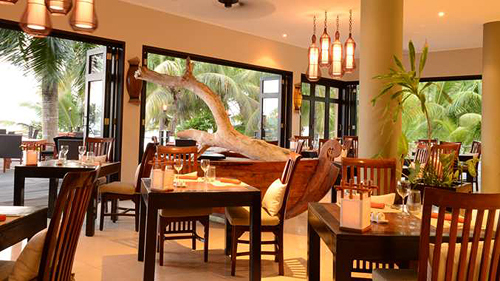 The freshest of Indian Ocean seafood and Creole cuisine are specialties at Les Palms. 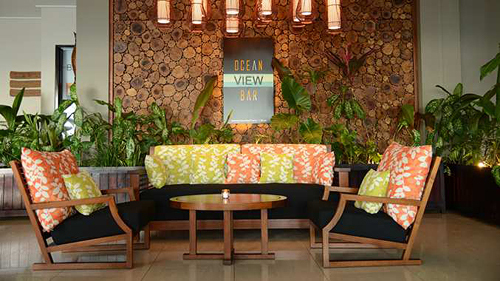 We will relax with a cool drink over magnificent ocean views, or dine under the stars while the sun sets in the Indian Ocean at the Ocean View Bar. 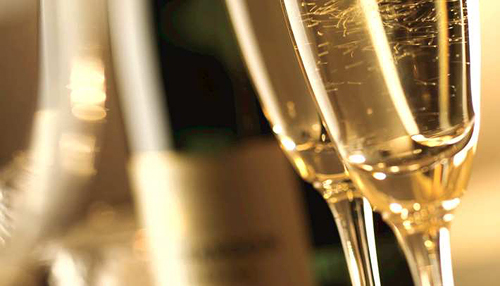 Located opposite the restaurant on the ground floor, the bar serves a wide range of premium spirits. 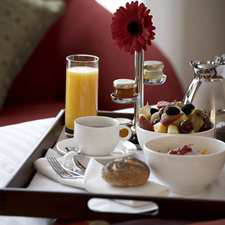 We will kick back and relax in our luxurious guest suite while enjoying in-suite dining. A bottle of our favorite wine will be delivered to our room or suite. We will make a toast to our honeymoon while taking in the charming views of the ocean. We will discover romance at its best! 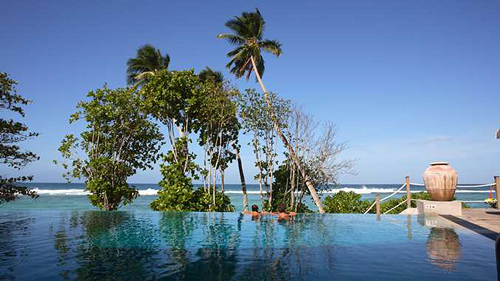 We will begin our stay at the DoubleTree by Hilton Seychelles Allamanda Resort & Spa with a warm welcome. We will be greeted with a delicious fresh baked cookie upon arrival. 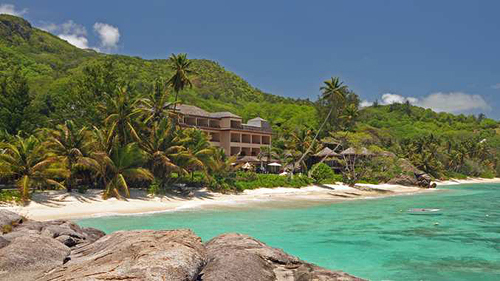 Ideally located in the south of Mahé, this stunning hotel is located in a charming four-star resort on the main island of the Seychelles. We will enjoy the 20-minute scenic ride along the costal beach road from the Pointe Larue International airport to Anse Forbans. The resort provides a superb beach, large granite boulders and is complimented by the surrounding mountain's lush tropical foliage. 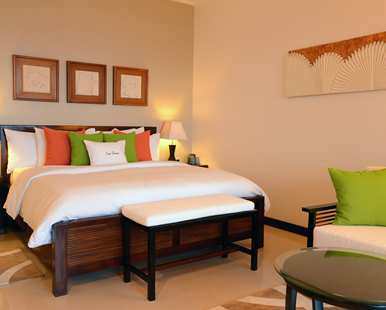 We will unwind in a spacious guest room or suite at the DoubleTree by Hilton Seychelles Allamanda Resort. Each of the guest rooms feature stylish decor and is rich in comforts. Enjoy modern amenities such as LCD TVs and complimentary high-speed internet access. We will experience relaxation together with the couples massage. It will be a great way to spend time together and get pampered. We will leave feeling recharged and invigorated and ready to take on the night! We will relax and rejuvenate the face with the facial. It will entail multiple steps, including an exfoliating segment, a cleansing segment, a massage segment, and a moisturizing finale to leave us feeling amazing!